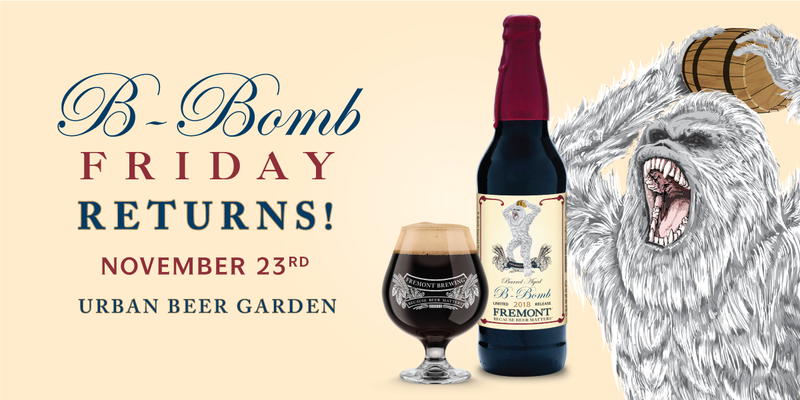 Taking the lead from Goose Island Beer Co., Seattle based Fremont Brewing will celebrate Black Friday with the release of its popular B-Bomb or what was known as Bourbon Abominable. 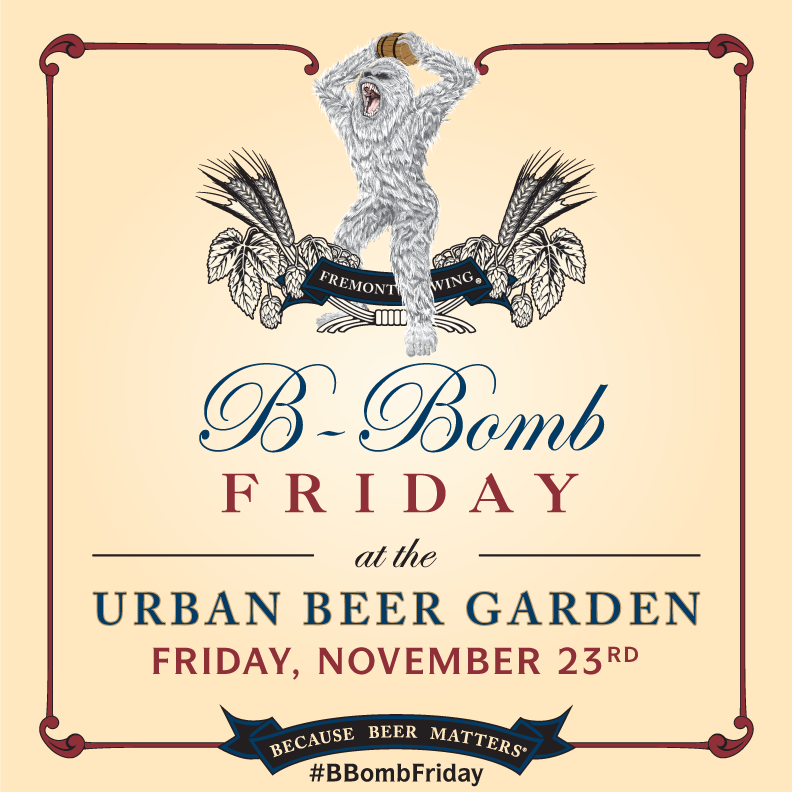 On Friday, November 23rd, Fremont Brewing will release its 2018 B-Bomb Bourbon Barrel-Aged Winter Ale at its Urban Beer Garden in Seattle’s Fremont neighborhood. B-Bomb will be on-tap and available to go in 22oz bottles beginning at 11:00am. Then at 5:00pm, the legendary Yeti will join the party to help tap three release-party-only B-Bomb infusions. B-Bomb bottles are $20.00 each with a four-bottle limit per person. Full distribution within Fremont’s distribution network will follow in the coming weeks. This year’s release of B-Bomb is aged in 8-12-year-old American Oak bourbon barrels and is a blend of 9, 12, and 24-month old barrel-aged Winter Ale. B-Bomb achieves distinct bourbon, oak, cacao, leather, toffee, and dark coffee notes from its extended barrel aging and barrel blending. Each barrel contributes a different note, and combining each barrel to create a coherent tone is a distinct art and true pleasure. Please do enjoy this unique barrel-aged ale today but know that B-Bomb will age gracefully for at least another 5 years. Hops: Columbus, Willamette, and US Golding hops.